After narrowly surviving his last operation, Gabriel Allon, the wayward son of Israeli intelligence, has taken refuge behind the walls of the Vatican, where he is restoring one of Caravaggio’s greatest masterpieces. But early one morning he is summoned to St. Peter’s Basilica by Monsignor Luigi Donati, the all-powerful private secretary to His Holiness Pope Paul VII. The body of a beautiful woman lies broken beneath Michelangelo’s magnificent dome. 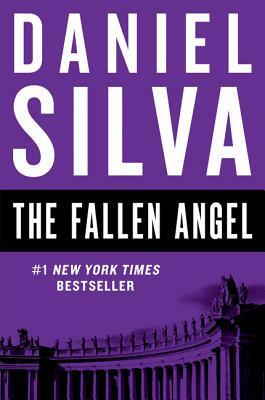 The Vatican police suspect suicide, though Gabriel believes otherwise. So, it seems, does Donati, who calls upon Gabriel to quietly pursue the truth—with one caveat. "Rule number one at the Vatican," Donati said. "Don’t ask too many questions." Gabriel learns that the dead woman had uncovered a dangerous secret that threatens a global criminal enterprise involved in looting timeless treasures of antiquity. But there is more to this dark network than just greed. And unless Gabriel can prevent a mysterious operative from committing a devastating act of sabotage, the world will be plunged into a conflict of apocalyptic proportions. . . .